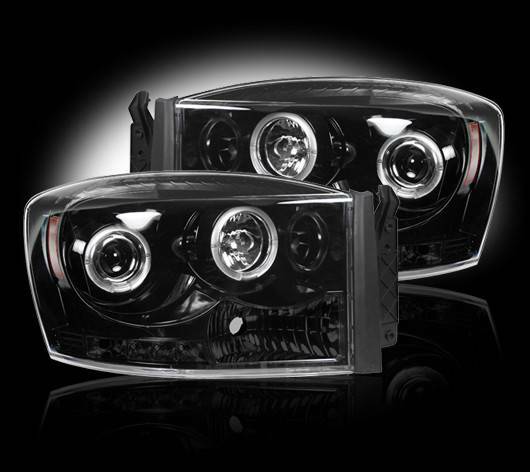 Recon Projector Headlights are among the best in the industry in quality and reputation. Not only do they look amazing with Halos and DRLS, they are unique in style. 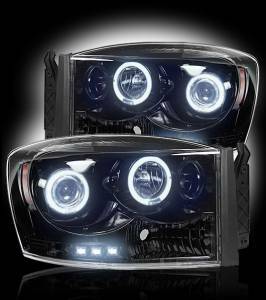 Recon projector headlights can be upgraded with HID kits for the low beams and high beams. Outlaw HID kits are available in 3 stages; 35 watt, 55 watt and can-bus. 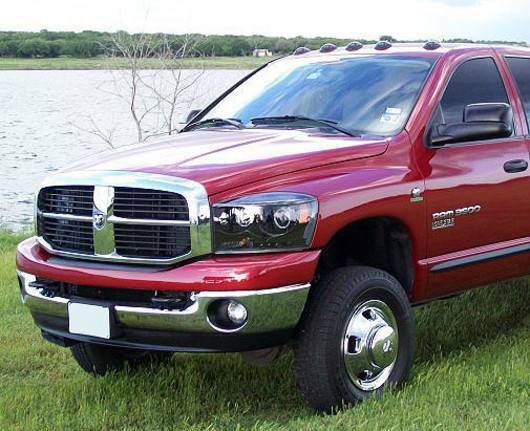 All HID kits are covered by a 2 Year warranty. 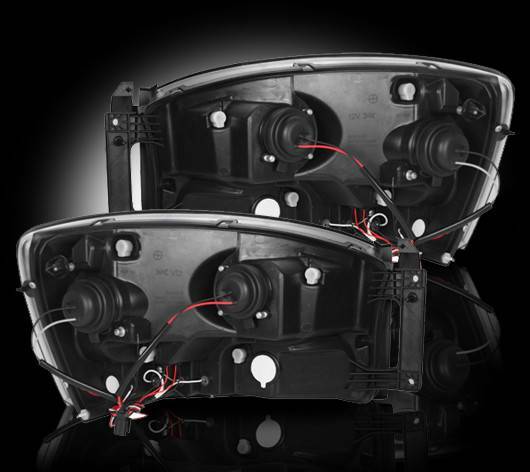 Choose your high beam bulbs, Halogen or HID. Choose your low beam bulbs, Halogen or HID.